After working with Von Wong on our Prisoners photo shoot we knew he was the only one that could realise our vision for Disconnect Me. It was an 18 hour shoot but at the end of the day it was more than we could have hoped for. 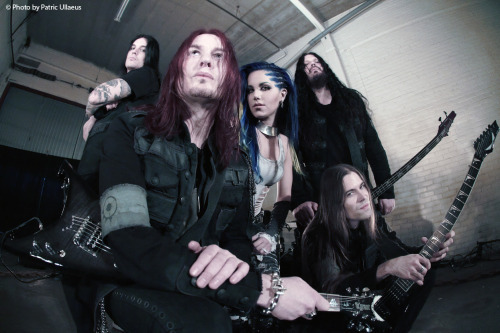 With a new album in the works, The Agonist have launched the official lyric video for their latest single Disconnect Me. The video can be viewed below. Swedish death metallers Arch Enemy announced earlier this week the withdrawal of Angela Gossow from the band’s line-up as well as her replacement, Alissa White-Gluz, formerly of The Agonist. Gossow will now be involved in the management side of things with Arch Enemy. As such, it is now time to lift the veil and see what unholy blasphemous music Arch Enemy have in store with their new vocalist. The title track for the band’s upcoming album, War Eternal, can be heard down below. We are so thrilled to be coming back to Europe! It has been way too long and we are very excited to release Prisoners upon our European fans. This time we’ll be rocking a full headline set that spans all 3 albums. 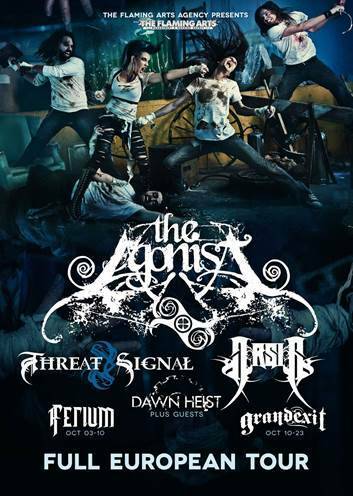 It is also amazing to be touring with our old friends in Arsis and Threat Signal for the first time in 5 years! Can’t wait to see you all there this October! Victory Records have proudly announced the signing of symphonic black metal unit, Erimha from Montreal, Quebec, Canada to its roster. Erimha, which means “Army” or “Legion”, coming from Sumerian culture, base their haunting, melodic, merciless and operatic sound on ancient mythology and spirituality. Their mantra and mission is one of inner strength and how the individual can be as powerful as an entire army. Formed in 2010, Erimha’s punishingly fresh and savage take on symphonic black metal is spawning a loyal legion of followers in the Canadian metal scene. They released their first full length album, Irkalla in September 2010 which featured guest vocals from The Agonist’s frontwoman, Alissa White. The band, Gore (vocals), Kthien (rhythm guitar), Ksaos (drums) and Diusternas (bass) are going to be an extreme force to be reckoned with on the international metal battlefield. Erimha will embark on their first U.S. tour in June with their debut album for Victory Records to be released this summer.